African solar energy companies are turning to pay-as-you-go systems to supply electricity to off-grid communities, enabling affordable access to energy. Solar energy has long been a key priority in bringing electricity to Africa’s rural, and largely off-grid, communities. Stakeholders in solar development have ranged from large development agencies like USAID’s Power Africa, to Independent Power Producers (IPPs) seeing opportunity in a growing market, to popular musicians like Akon giving solar a fresh look through his Lighting Africa initiative. Such efforts, coupled with generally conducive policy framework and substantial investment, have drastically reduced solar prices on the continent leading to the projection that photovoltaic energy will be one of the least expensive new energy sources on the continent by 2030. Yet while an impact has been made, the stark reality is that 620 million people in sub-Saharan Africa continue to make do without electricity. Within this context a simple yet effective solution to expanding solar energy’s reach across the continent has been rolled out in the form of Pay-As-You-Go (PAYG) solar systems. Banks, and more recently fintech platforms and mobile money providers, have been facilitating finance for small economic actors to access solar technology. Through microfinance loans, households and businesses have been able to buy solar panels in order to power their everyday needs. Yet credit is often associated with high collateral requirements and equally high interest rates, all of which has stifled the uptake of solar panel purchases across Africa. PAYG, as the name suggests, allows customers to buy off-grid solar electricity from a solar panel on a pay-as-you-go basis. The software installed within solar panels, which facilitates these payments, is referred to as PAYG technology, and PAYG solar companies have been distributing both the software and solar panel hardware for around 10 years in Africa. 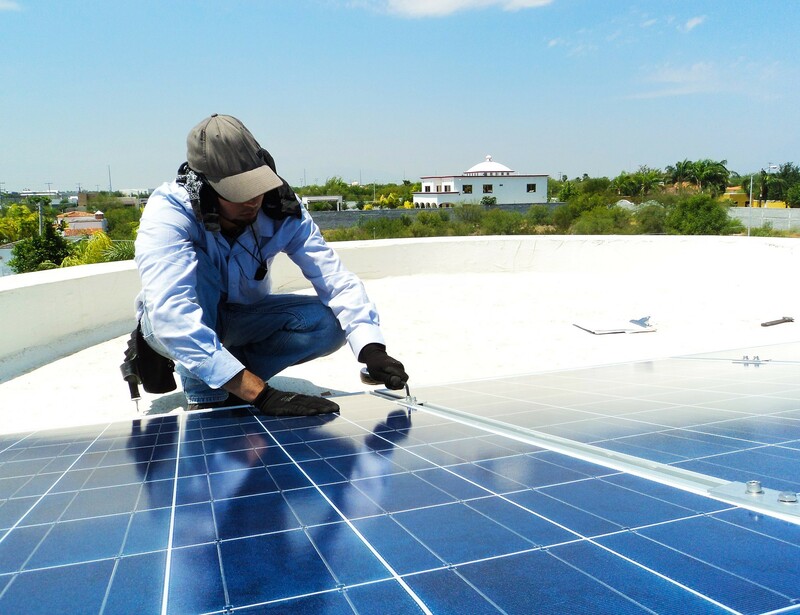 As a result of the technology, solar customers are not required to pay heavy down payments on initial technology purchases or costly interest rates while repaying debt. This has paved the way for a much greater adoption of solar energy, as consumers must no longer bear the financing brunt, which has led to marked renewable and developmental impact across the continent. Since their introduction, PAYG solar home systems have been gathering steam in Africa, and recent acquisitions and activity in the market suggest the uptick is yet to plateau. To date the industry has raised over USD 600 million in financing, and two acquisitions in 2017 further reinforced the market’s potential: French energy-giant ENGIE adopted the technology through its acquisition of Fenix International, and Berlin-based Mobisol acquired PAYG software provider Lumeter. These acquisitions signal growing market maturity as large energy companies like ENGIE look to diversify their operations by offering innovative services within the sector, and by including PAYG technology in corporate strategy. This association with large firms has also allowed PAYG providers to become more specialised, as they are no longer required to act outside their core competences along all areas of the value chain. Finally, it will solidify investment in the sector as the above acquisitions confirm to investors and PAYG companies that the market has enough interest to allow for commercial exits. For the customer, these events should set in motion cheaper and improved services by the PAYG solar home system providers. While PAYG offers cheaper access to solar electricity, prices are still too high for those who need it most. Fenix International, in fact, who are at the lower end of the market in terms of cost, are only affordable to around 50 percent of households in Uganda, according to Lyndsay Handler, CEO of Fenix International. With a greater diversity of market actors, ranging from startups to big energy companies, consumer costs should be reduced — ENGIE, for example, hopes to provide at least 20 million people with electricity by 2020. “The extension of national grids, combined with the development of local mini-grids and solar home systems, can together be a viable solution towards the UN’s 7th Sustainable Development Goal: provision of affordable, reliable, sustainable and modern energy for all,” Yoven Mooroven, CEO of ENGIE Africa, told ESI Africa. The environmental impact of these actions should also not be ignored. As one of the most affordable low-income solutions to solar energy, PAYG technology will noticeably move consumers away from typical sources of power like kerosene lanterns. Indeed, from both an environmental and economic perspective, PAYG solar systems convincingly trump traditional power solutions. Kenya-based home solar system provider M-Kopa estimated that households who switch from kerosene to solar save on average USD 750 over four years and reduce CO2 emissions by 1.3 tonnes in the same period. On the other hand, the sector’s main impediments are distribution chains and insufficient available finance for PAYG companies to grow. Reaching customers in rural Africa continues to present problems for companies looking to expand — a problem shared in other sectors. And although recent acquisitions in the market suggest finance is more readily available, access to capital remains a bottleneck for those looking to grow. Although improvements in the PAYG market have extended solar energy’s reach in Africa, the buzz generated around the space must be translated into quantifiable gains if the continent is to meet its well-defined development goals.